Saudi Arabia: Al Ittihad lands Herbert Hill, ex Nishinomiya S.
Al Ittihad Jeddah (SBL) landed 30-year old American guard Terrence Joyner (190-90kg-88, college: Mississippi Valley State). 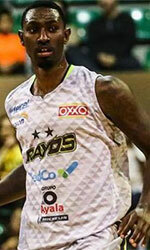 Joyner played recently at Al Ansar in Saudi Arabian SBL league. He also played for Al Khor (D1) in Qatari league where in two SBL games he averaged 13.0ppg, 3.0rpg and 3.0apg this season. Joyner has tried to make it to the NBA and played in the NBA Pro Summer League in 2012. Among other achievements his team made it to the Mongolian Superleague Semifinals in 2016. 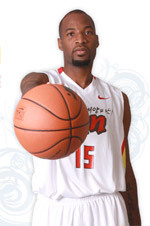 Joyner was selected to Mongolian MNBA All-Star Game back in 2014. He is a very experienced player. And here thanks to pro basketball Joyner experienced life in five different countries playing on four different continents. He is familiar with European, Asian, Latin American and of course North American leagues. Joyner has played previously professionally in Greece (Panelefsiniakos), Lithuania, Mexico (Mineros de Caborca) and Mongolia (Bayankhongor and Govi-Altai Mon Torkh). He attended Mississippi Valley State until 2012 and it is his seventh season in pro basketball. Al Nasr, Al Ahli Jedd, Uhud and Al-Fath advanced to the semifinals of the Saudi Basketball Premier League 2018/19. Uhud and Al-Fath directly entered the semis stage as two best teams of the Regular Season. Last night Al Ahli Jedd edged Al Hilal 79-76 to win the series 2-1. Earlier they won the opener 80-77, but then lost game 2 61-68. Al Nasr meanwhile swept the quarterfinal series versus Al Ittihad. Al Nasr became the League semifinalists. They swept the quarterfinal series versus Al Ittihad. Al Nasr snatched a road 75:60 victory in the series opener. Then they posted a comfortable 76:55 home victory to complete the sweep. Al Nasr will now face Uhud in the semis. Al Ahli and Al Hilal are tied at 1-1 after two opening games. Al Ahli claimed an 80:77 win in the opener. Al Hilal earned a 68:61 win in Game 2 to force decider.